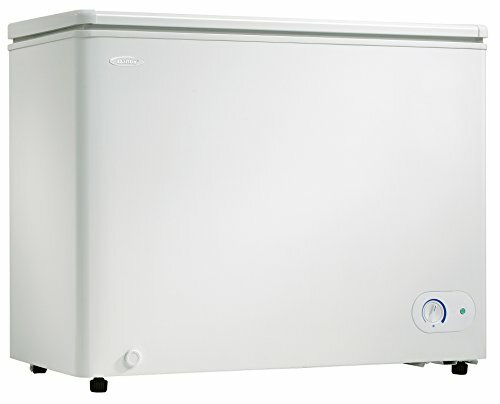 A chest freezer is a modern-day ice box that plugs into a power supply. They are available in several different sizes and can hold a lot of meat, vegetables, and other products you need to preserve until you’re ready to use them. Every chest freezer is different. Some operate purely for freezing goods, while others have a fridge compartment for convenience too. Some are quiet, while others drive you insane with how loud they are. Then, there are other things to think about like the power supply, how energy efficient it is, and whether it’s better for a single person, camping trip, or a permanent household. The market is full of excellent options which can be an advantage or disadvantage. The pro is that you are not short of options. The con is that there are so many options from which to choose! Fortunately, you don’t have to go through the process by yourself. The more homework you do, the less likely you end up with the hassle of having to return it to the supplier. Check out these nine options below then pay attention to the helpful chest freezer buying tips. 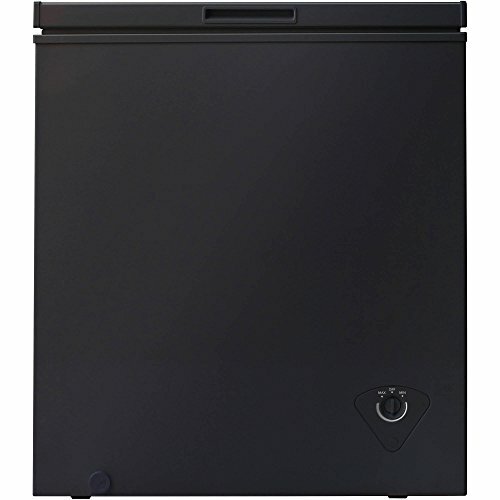 Whether you live in an apartment or dorm or have limited space for a chest freezer, you might find that this Midea model can solve all your problems. Rather than forgo buying one and put up with not being able to freeze food, you can buy a compact model that will fit into any small crevice and corner. 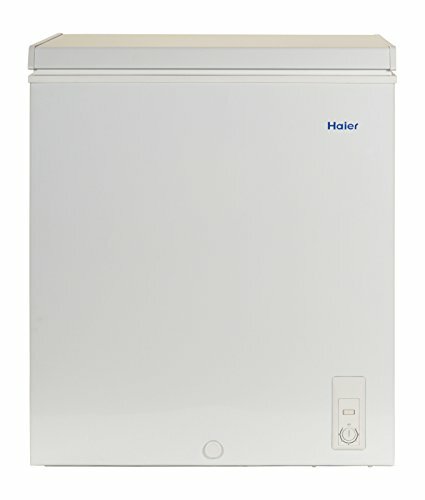 This white chest freezer is available in three sizes to suit your needs – 3.5, five, or seven cubic feet. It also comes with a wire storage basket, adjustable thermostat, and a generous warranty period. The warranty covers you for the freezer for one year and the compressor for two. That’s not all this chest freezer has to offer either. You can adjust the temperature to between -12- and -28-degrees Fahrenheit, and enjoy all the mechanical controls that provide full customization. The door also opens to 45-75 degrees, meaning you will have few problems getting your frozen goods out of it. What’s more, it’s affordable, quiet to operate, and blends in beautifully with your other whiteware. It doesn’t seal tight, come with a power light or a thermometer, but that’s only a few small things in the grand scheme of it. If you don’t mind a continuous whirring sounds in the dead of night, then this chest freezer may be the very thing you need to add convenience to your kitchen. There’s no denying it’s noisy, and the seals don’t always fit tight either, but given how small and stylish it is, the benefits far outweigh the cons. You can buy it in two sizes – 2.1 or three cubic feet, and enjoy the convenience of how small it is. While you can’t fit a lot in it, it’s perfect for a flat or apartment with only one or two people needing to use it. What’s more, if you want to keep your flatmates out of it, you can make use of the bolt lock underneath it and two keys. Your food can always be secure. You can also buy this chest freezer in two colors to suit your décor – stainless steel or black. Both come with compressor cooling, two removable shelves, and an Energy Star rating that sees your power bill look exceptionally healthy at the end of the quarter. You may find it’s not the best chest freezer on the market, but given its size, affordability, and functionality, it’s by no means the worst either. 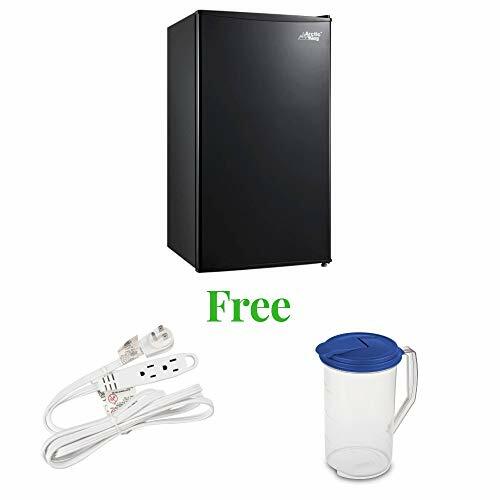 Whether you’re a single person or a couple in need of a new chest freezer, you may very well end up checking out this premium model from Midea. Even though you run the risk of it arriving damaged due to secondary packaging, it can be worth the risk. The features it has will astound you. This three cubic-foot freezer offers a varied temperature range of -11.2 to 8.6 degrees-Fahrenheit, perfect for most meat and vegetable products. However, if you want to adjust the range, the control unit is at the back and quite hard to access. That point aside, you can buy it in stainless steel, black, or white to suit your other appliances, and enjoy its compact upright style and reversible door. Inside, it also allows for beneficial storage solutions. There are two fixed shelves and one wire drawer to cater to your needs. Sealing the deal is the one-year warranty and energy efficiency. You don’t have to spend a lot, but you get a chest freezer that’s jam-packed full of convenient features. Imagine being able to freeze your popsicles then immediately chill a drink in a chest freezer? It might seem impossible, but this portable fridge freezer unit from Whynter can become whatever you want it to be. You can enable the fast freeze mode and make your meat and other ingredients as solid as a rock. You can then let them defrost and maintain a cold fridge temperature instead. There’s no limit to how convenient this chest freezer can be. As a trunk-style freezer, it has handles and is entirely portable. You can take it on a camping or fishing trip, on your boat, in your RV, or anywhere other than your house. It will also run on AC power with its eight-foot cord or DC power with a five-foot cord. Store 45 quarts-worth of goods inside (or 60 cans), and enjoy how fresh everything remains. You also get two removable wire baskets, a Fast Freeze mode, and an LED temperature display. If you ever need to repair it, you’ll find it costly, and it may not last as long as you’d like, but while it’s alive, it’s a fantastic fridge freezer. If you do a bit of traveling around in a motorhome or RV, then you are going to need a chest freezer that can handle the journey. While a chiller box is okay for a weekend trip, it’s not ideal for long holidays with family and friends. In this instance, you may need a Smad chest freezer. Available in three different sizes, you are bound to find one that works for your needs. 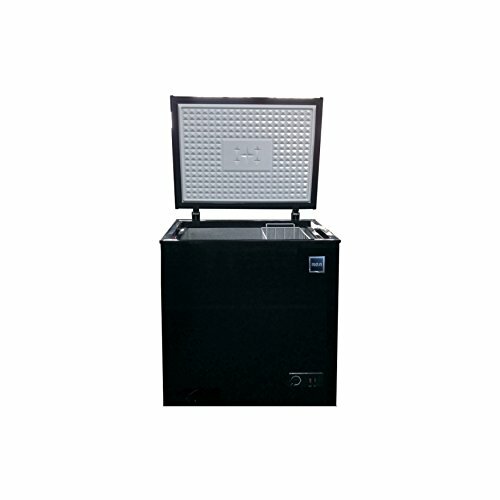 It has a single door, three power supply options (AC, DC, and LPG), and has carry handles to make it transportable. What’s more, it comes with a storage basket. You will have no problem adding all your frozen goods and leaving the chest freezer to work its magic. That’s not all this chest freezer has to offer either. You can adjust the thermostat, depending on your preferred temperature, and enjoy the generous one-year warranty that comes with it. Due to its compact size and lovely color scheme, it’s also a freezer that will look like it always belonged. 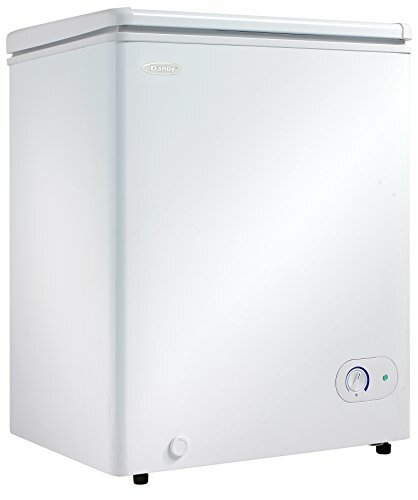 Enjoy the quiet, affordability, and quality this chest freezer has to offer. Not everyone needs a large chest freezer in their home, but that’s often all that’s available. Fortunately, there are also such options as this 1.1 cubic-foot upright freezer from Costway. Instead of buying a large chest freezer that gets in the way and takes up too much room, you can select a small one that’s perfect for your needs. You can use it in an apartment, a flat, or even a man cave. It’s small and discrete enough almost to go unnoticed. That’s not all you will appreciate either. It has a single, reversible door that you can swap around to suit, and it features stainless-steel construction with adjustable and removable shelves. Its 1.1 cubic-foot size is also a standout point, meaning it’s more likely to fit into smaller gaps than several other chest freezers for sale. The recessed door handle makes it effortless to open, while the seven-grade temperature knob offers full control when you’re freezing food. It might take a while to freeze stuff when you first crank it up, but from then on in, it’s smooth sailing. Who would have thought that a chest freezer could become so technologically advanced? 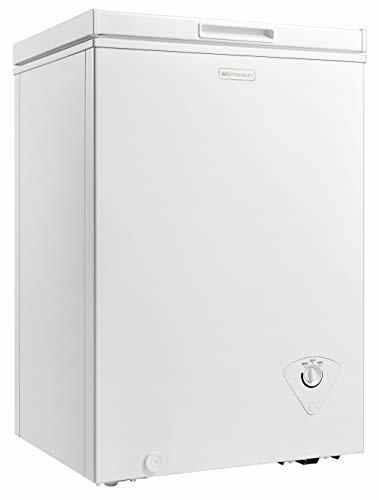 If you consider yourself to be at the pointy end of technological advancements, then it’s about time you took a closer look at this fridge freezer from Dometic. Unlike other models for sale, this one is ideal for a range of situations. You can use it while you’re camping, put it in your RV, or pull it out of storage for an emergency. No matter the scenario, this chest freezer can be of assistance. There are also nine models from which to choose, generous capacities, and three power options. You can run it on solar power, AC, or DC for peace of mind. Also, when you run it in battery mode, it uses a three-stage dynamic battery protection system to stop your car, for example, from running flat. When it comes to durability, this chest freezer excels. It has stainless-steel hinges, a robust outer shell, and reinforced corners to stop it succumbing to wear and tear. Once you start using it, all the other features will become apparent. It has a dual cooling zone for cooling and freezing, USB device charging to keep your smartphone battery full, and an LED light, so you can see what you’re grabbing. It also comes with removable baskets to be of assistance too. This chest freezer can hold 133 cans of goods and also lets you control the temperature via a WiFI-connected app on your phone. If that’s not enough to convince you to check this unit out, then nothing will. If you’re on a budget, but you require a small chest freezer for your dorm room or apartment, then check out this model from Commercial Cool. Even though it doesn’t cost a lot of money, it’s a chest freezer that will end up being one of the best purchases you make for your home. You get to benefit from its easy-care style, how lightweight it is, and the compact size of only 1.2 cubic feet. It also comes with adjustable legs which can prove convenient when you’re moving it around. If you are in a dorm room with minimal space, that’s where this freezer comes into its own. You can store it hidden away near your fridge without it ever taking up a lot of room. However, the inside of it is surprisingly spacious. For one or two people, the slide-out interior wire shelf is a nice touch, and it has more than enough space for a few days of food. It doesn’t vibrate, make any strange sounds, or keep you up at night with clunking. All it does is keep your food frozen and offer no end of convenience. While it’s quite risky to ship it to your home, given the high risk of damage, but given how affordable it is, it’s possibly a risk worth taking. This chest freezer is leagues ahead of its competition. Even though this chest freezer is expensive, lacks insulation, and has inferior quality handles, they are only a few reasons not to buy it. There are many more reasons why you may like to. You get to choose from eight models to suit your needs – all of which run on AC or DC power. Choose the more convenient option for you at the time and enjoy ice-cold beverages or frozen food. 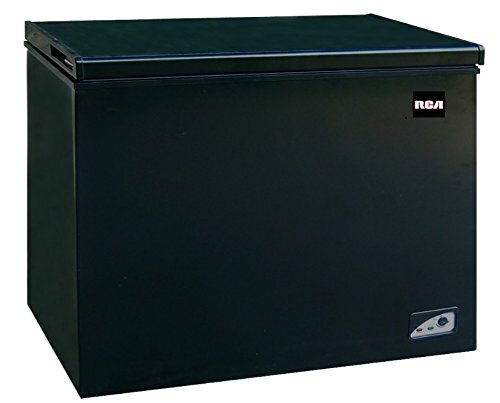 This chest freezer operates as both a fridge and freezer, and you can use it in your RV, while you’re out and about, camping, or even in an emergency. If you run it on battery power, this is where this chest freezer comes into its own. It has a three-stage battery protection system which means that if your car battery starts to go flat, it will turn the fridge off to prevent that from happening. Move it from one place to the next with the removable carry handles, and change settings with the soft-touch control panel. Once you buy this unit from Dometic, you never have to worry about your drink going warm in the sun ever again. We have come a long way from needing to replenish trunks with ice from an ice delivery man. Now, almost every household has a freezer of some kind – keeping food frozen until you’re ready to use it. However, that’s not to say that the convenience of a freezer is all you need to consider. There are other points too. Before you click buy now, consider these points. The first thing to think of is the chest freezer size. How many people are you catering for with it? The more people in your household, the larger it has to be. Allow 1.5 cubic feet for each person in your family. Sometimes, people start looking for a new chest freezer because they need one to be portable for trips away. What do you define as mobile? 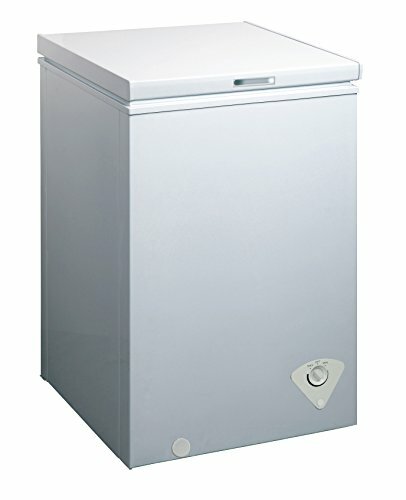 Choose a freezer that has a handle on each size, is lightweight, and offers more than one power source. You can buy freezers that run on AC, DC, LPG, and solar power. If you are buying a chest freezer for your dorm room, then read comments relating to the sounds it makes. There’s nothing more annoying than not being able to drift off to sleep because your freezer is humming, clunking, or whirring. Whisper-quiet features are crucial. In this day and age, efficiency means everything. Energy efficiency is no exclusion to that rule. Always try to buy a freezer with an Energy Star rating. The less power it draws, the smaller your electricity bill will be. If you are living in a dorm or an apartment, such efficiency is crucial.